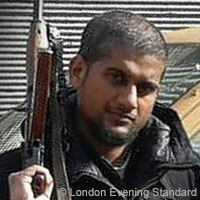 Siddhartha Dhar, who goes by his nom de guerre Abu Rumaysah, is a prominent British jihadist and ISIS propagandist believed to operate out of Raqqa, Syria.Richard Spencer, “Anjem Choudary’s prime supporter says ‘Jihadi John’ justified in beheading captives,” Telegraph (London), March 4, 2015, http://www.telegraph.co.uk/news/worldnews/middleeast/syria/11449598/Anjem-Choudarys-prime-supporter-says-Jihadi-John-justified-in-beheading-captives.html. He reportedly traveled to ISIS-controlled territory in September 2014.Richard Spencer, “Anjem Choudary’s prime supporter says ‘Jihadi John’ justified in beheading captives,” Telegraph (London), March 4, 2015, http://www.telegraph.co.uk/news/worldnews/middleeast/syria/11449598/Anjem-Choudarys-prime-supporter-says-Jihadi-John-justified-in-beheading-captives.html. Rumaysah reportedly authored the 46-page manifesto “A Brief Guide to the Islamic State,” an e-book released in early May 2015 aimed at recruiting Western foreign fighters.Heather Saul, “ISIS ‘tourist guide’: British jihadist Abu Ramaysah publishes e-book comparing self-declared caliphate to ‘plush holiday resort,’” Independent (London), May 19, 2015, http://www.independent.co.uk/news/world/middle-east/isis-tourist-guide-british-jihadist-abu-rumaysah-publishes-ebook-comparing-selfdeclared-caliphate-to-plush-holiday-resort-10260868.html. In the e-book, Rumaysah described the ‘caliphate’ in vivid terms, as akin to a “plush holiday resort” with an “exquisite Mediterranean climate.”Heather Saul, “ISIS ‘tourist guide’: British jihadist Abu Ramaysah publishes e-book comparing self-declared caliphate to ‘plush holiday resort,’” Independent (London), May 19, 2015, http://www.independent.co.uk/news/world/middle-east/isis-tourist-guide-british-jihadist-abu-rumaysah-publishes-ebook-comparing-selfdeclared-caliphate-to-plush-holiday-resort-10260868.html. “Anjem Choudary and Mohammed Rahman convicted of inviting support for Daesh,” Crown Prosecution Service, August 16, 2016, http://www.cps.gov.uk/news/latest_news/anjem_choudary_and_mohammed_rahman_convicted_of_inviting_support_for_daesh/. He was also believed to be in contact with Michael Adebolajo, one of the men who murdered British soldier Fusilier Lee Rigby in May 2013.Richard Spencer, “Anjem Choudary’s prime supporter says ‘Jihadi John’ justified in beheading captives,” Telegraph (London), March 4, 2015, http://www.telegraph.co.uk/news/worldnews/middleeast/syria/11449598/Anjem-Choudarys-prime-supporter-says-Jihadi-John-justified-in-beheading-captives.html. Rumaysah was arrested alongside Choudary in September 2014 for encouraging terrorism and promoting the now-defunct British Islamist organization al-Muhajiroun.Richard Spencer, “Anjem Choudary’s prime supporter says ‘Jihadi John’ justified in beheading captives,” Telegraph (London), March 4, 2015, http://www.telegraph.co.uk/news/worldnews/middleeast/syria/11449598/Anjem-Choudarys-prime-supporter-says-Jihadi-John-justified-in-beheading-captives.html. Rumaysah received bail after forfeiting his passport but was able to travel to Syria via Paris and Turkey.Richard Spencer, “Anjem Choudary’s prime supporter says ‘Jihadi John’ justified in beheading captives,” Telegraph (London), March 4, 2015, http://www.telegraph.co.uk/news/worldnews/middleeast/syria/11449598/Anjem-Choudarys-prime-supporter-says-Jihadi-John-justified-in-beheading-captives.html. By the time he left for Syria, British authorities had reportedly arrested Rumaysah a total of six times.“Isil jihadist Siddhartha Dhar interviewed in new Channel 4 documentary 'The Jihadis Next Door',” Telegraph (London), January 19, 2016, http://www.telegraph.co.uk/news/uknews/terrorism-in-the-uk/12106995/Isil-jihadist-Siddhartha-Dhar-interviewed-in-new-Channel-4-documentary-The-Jihadis-Next-Door.html. Following ISIS’s June 2014 declaration of the caliphate, Rumaysah reportedly encouraged Choudary to support ISIS on social media. Both men were arrested shortly thereafter.Jamie Grierson, Vikram Dodd, and Jason Rodrigues, “Anjem Choudary convicted of supporting Islamic State,” Guardian (London), August 16, 2016, https://www.theguardian.com/uk-news/2016/aug/16/anjem-choudary-convicted-of-supporting-islamic-state. Choudary was convicted of supporting ISIS in June 2016.“Anjem Choudary and Mohammed Rahman convicted of inviting support for Daesh,” Crown Prosecution Service, August 16, 2016, http://www.cps.gov.uk/news/latest_news/anjem_choudary_and_mohammed_rahman_convicted_of_inviting_support_for_daesh/. Siddhartha DharRichard Spencer, “Anjem Choudary’s prime supporter says ‘Jihadi John’ justified in beheading captives,” Telegraph (London), March 4, 2015, http://www.telegraph.co.uk/news/worldnews/middleeast/syria/11449598/Anjem-Choudarys-prime-supporter-says-Jihadi-John-justified-in-beheading-captives.html. Abu RamaysahHeather Saul, “ISIS ‘tourist guide’: British jihadist Abu Ramaysah publishes e-book comparing self-declared caliphate to ‘plush holiday resort,’” Independent (London), May 19, 2015, http://www.independent.co.uk/news/world/middle-east/isis-tourist-guide-british-jihadist-abu-rumaysah-publishes-ebook-comparing-selfdeclared-caliphate-to-plush-holiday-resort-10260868.html. 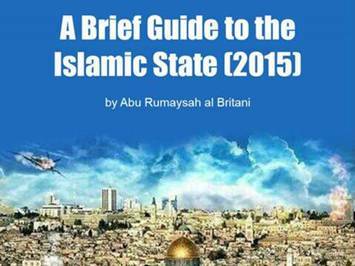 Abu Ramaysah al BritaniHeather Saul, “ISIS ‘tourist guide’: British jihadist Abu Ramaysah publishes e-book comparing self-declared caliphate to ‘plush holiday resort,’” Independent (London), May 19, 2015, http://www.independent.co.uk/news/world/middle-east/isis-tourist-guide-british-jihadist-abu-rumaysah-publishes-ebook-comparing-selfdeclared-caliphate-to-plush-holiday-resort-10260868.html. “The natural progression for the transport network in the Islamic State has to be trains then ships and aeroplanes, but everything is on the table: zeppelins, hovercrafts, trams [and] microlites.”Heather Saul, “ISIS ‘tourist guide’: British jihadist Abu Ramaysah publishes e-book comparing self-declared caliphate to ‘plush holiday resort,’” Independent (London), May 19, 2015, http://www.independent.co.uk/news/world/middle-east/isis-tourist-guide-british-jihadist-abu-rumaysah-publishes-ebook-comparing-selfdeclared-caliphate-to-plush-holiday-resort-10260868.html. “If you were worried about leaving behind your local Costa coffee, then you will be happy to know that the Caliphate services some of the best lattes and cappuccinos around.”“New IS propaganda guide by Brit sells ‘Costa’ caliphate,” BBC News, May 19, 2015, http://www.channel4.com/news/new-isis-propaganda-guide-by-brit-sells-costa-caliphate. “If you thought London or New York was cosmopolitan then wait until you step foot in the Islamic State, because it screams diversity.”Heather Saul, “ISIS ‘tourist guide’: British jihadist Abu Ramaysah publishes e-book comparing self-declared caliphate to ‘plush holiday resort,’” Independent (London), May 19, 2015, http://www.independent.co.uk/news/world/middle-east/isis-tourist-guide-british-jihadist-abu-rumaysah-publishes-ebook-comparing-selfdeclared-caliphate-to-plush-holiday-resort-10260868.html. “When we descend to London, Paris, and Washington the taste will be far bitterer because not only will we spill your blood, but we will also demolish your statues, erase your history and, most painfully, convert your children who will go on to champion our name and curse their forefathers.”Heather Saul, “ISIS ‘tourist guide’: British jihadist Abu Ramaysah publishes e-book comparing self-declared caliphate to ‘plush holiday resort,’” Independent (London), May 19, 2015, http://www.independent.co.uk/news/world/middle-east/isis-tourist-guide-british-jihadist-abu-rumaysah-publishes-ebook-comparing-selfdeclared-caliphate-to-plush-holiday-resort-10260868.html. “Islamic State has the moral high ground with regards to the use of violence, and not the US-led coalition.”Richard Spencer, “Anjem Choudary’s prime supporter says ‘Jihadi John’ justified in beheading captives,” Telegraph (London), March 4, 2015, http://www.telegraph.co.uk/news/worldnews/middleeast/syria/11449598/Anjem-Choudarys-prime-supporter-says-Jihadi-John-justified-in-beheading-captives.html. “Even though we have been force-fed by the media to believe that the Islamic State is ‘barbaric’ and ‘medieval’, if you want to torture an Islamic State soldier, bomb an Islamic State building or perhaps nuke Raqqah, all of a sudden such behaviour is deemed perfectly rational. You are not barbaric for wanting this, on the contrary, you are civilised and educated.”Richard Spencer, “Anjem Choudary’s prime supporter says ‘Jihadi John’ justified in beheading captives,” Telegraph (London), March 4, 2015, http://www.telegraph.co.uk/news/worldnews/middleeast/syria/11449598/Anjem-Choudarys-prime-supporter-says-Jihadi-John-justified-in-beheading-captives.html. “Yes, violence can be justified – bombs, bullets, knives, air strikes etc. are needed for the right enemy and we should not be made to feel ashamed about it.”Richard Spencer, “Anjem Choudary’s prime supporter says ‘Jihadi John’ justified in beheading captives,” Telegraph (London), March 4, 2015, http://www.telegraph.co.uk/news/worldnews/middleeast/syria/11449598/Anjem-Choudarys-prime-supporter-says-Jihadi-John-justified-in-beheading-captives.html. “I would also like to remind the Cameron regime that if they value security they will refrain from harming Islamic activists in their midst.”“New IS propaganda guide by Brit sells ‘Costa’ caliphate,” BBC News, May 19, 2015, http://www.channel4.com/news/new-isis-propaganda-guide-by-brit-sells-costa-caliphate.